Home » The Law & You » Can I Sue the School for Bullying? Can I Sue the School for Bullying? A viewer wants to know if a school can be sued for a bullying incident. Attorneys Greg Fellerman and Ed Ciarimboli explain what legal options are available to the viewer. 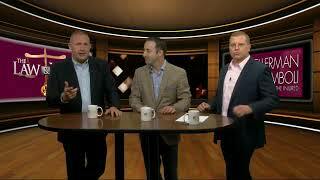 Dave Kuharchik: We’re going to address the bullying issue in this edition of “The Law & You.” Back with you tonight in the virtual law center are attorneys Greg Fellerman and Ed Ciarimboli. Thanks for being here. Ed Ciarimboli: Thanks for having us. Dave: All right so we’ll get to the question and this is something that many parents have to deal with, of course, school bullying. Larry in Hazleton says, “How do you sue a school for bullying?” So is this something that possible? Can you hold the school accountable? Ed: It is possible and Greg and I, we have talked about bullying cases over the years and right now, we’re probably right now looking at five or so active bullying cases. These become, essentially, civil rights cases for the individual, this is the student that was bullied. There are a number of pretty specific legal requirements that you have to fulfill in order to pursue a claim like this. But there was just a recent great, great result in a bullying case in Philadelphia County. These cases are getting far more traction and they should. No kid should have to go to school and be bullied. You definitely can sue. Greg Fellerman: In the case of Philadelphia surrounded a decent amount of time where a child was being bullied. The school knew about it and didn’t do anything. The judge actually ruled in favor of the plaintiff and awarded money, $500,000 in damages to the family. So, they are happening and the law is evolving but it just happened this week. Ed: The judge in that case also took a rather unusual step in saying the school itself needed to make remedial changes so this never happened to another kid. Every kid has a right to an education free from abuse. Really important. Dave: And we hear sometimes these things end badly for some kids and families so if you have an issue with school bullying and you need the legal advice or the help of our team here, you can reach out by them a call, checking them out online or of course social media. Don’t forget results matter with attorneys Greg Fellerman and Ed Ciarimboli. We’ll see you next time, guys.